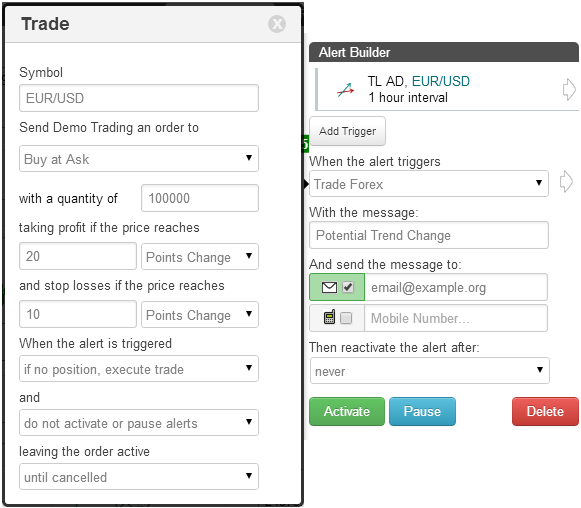 On the TimeToTrade charts, a Accumulation Distribution indicator can then be used to execute trades, provide an Email or SMS text message notification when your candlestick chart patterns have been met or backtest a trading strategy. The Accumulation Distribution indicator combines price action and volume to provide an indication of momentum. The price action is multiplied by volume to provide weighting to directional moves. When the Accumulation Distribution line is increasing in value it indicates that underlying asset is being accumulated. Likewise, if the Accumulation Distribution is decreasing in value it indicates that the underlying asset is being sold off / distributed. A divergence between the price action and the Accumulation Distribution line after a directional move, indicates that the trend may be coming to an end as the volume drops and trading range narrows. Rising Threshold Alert Trigger, is triggered when the value of the Accumulation Distribution rises above a specified value. Falling Threshold Alert Trigger, is triggered when the value of the Accumulation Distribution falls below a specified value. Break-Out Alert Trigger, is triggered when the Accumulation Distribution increases by a specified value within a the selected interval period. 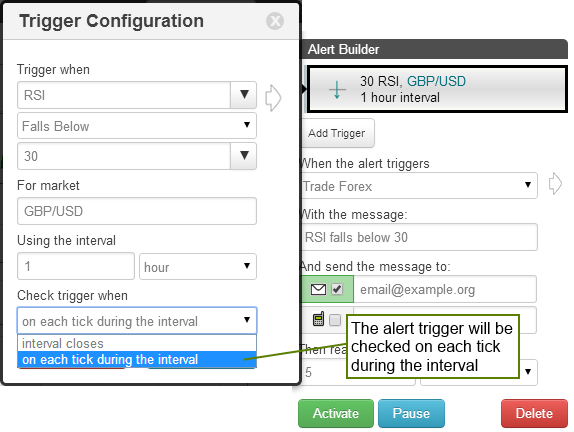 Pull-Back Alert Trigger, is triggered when the Accumulation Distribution decreases by a specified value within a the selected interval period. Percentage Break-out Alert Trigger, is triggered when the Accumulation Distribution increases by a specified value within a the selected interval period. 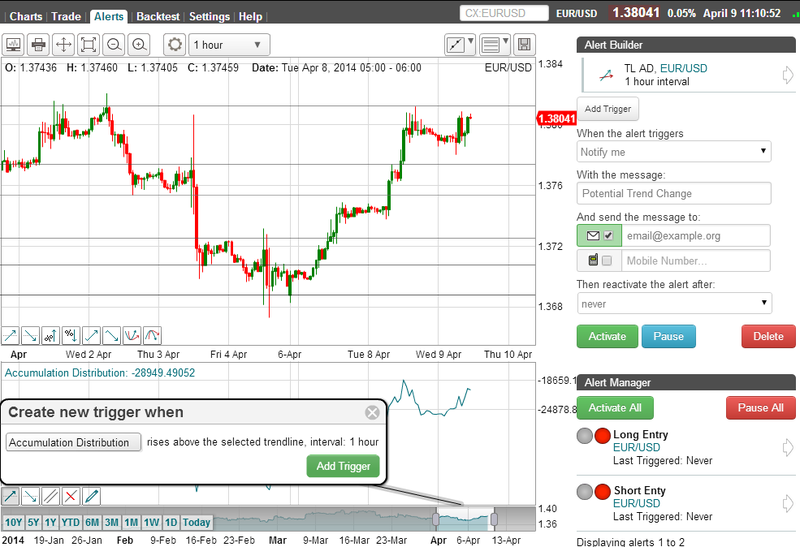 Percentage Pull-back Alert Trigger, is triggered when the Accumulation Distribution decreases by a specified percentage within a the selected interval period. 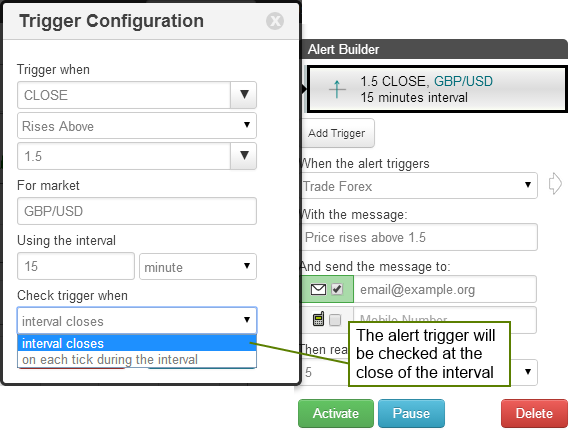 Above Alert Trigger, is triggered when the Accumulation Distribution is above a specified value. 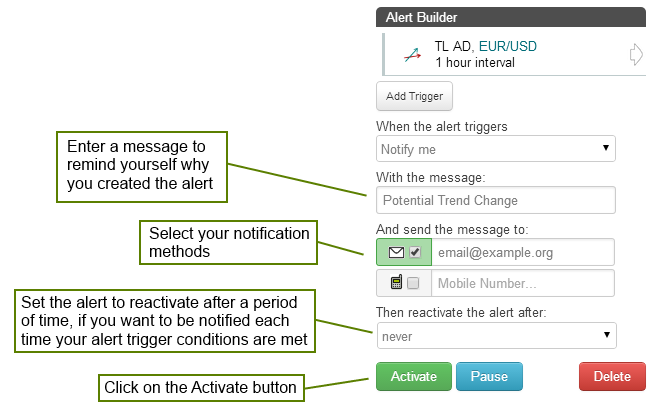 Below Alert Trigger, is triggered when the Accumulation Distribution is below a specified value. Positive Crossover Alert Trigger, is triggered when the Accumulation Distribution rises above / crosses over another indicator, price, a specified value or trend line that you have drawn on the chart. Negative Crossover Alert Trigger, is triggered when the Accumulation Distribution falls below / crosses under another indicator, price, a specified value or trend line that you have drawn on the chart.